Remember when the idea of a prestigious original series debuting on Netflix was something of a novelty? 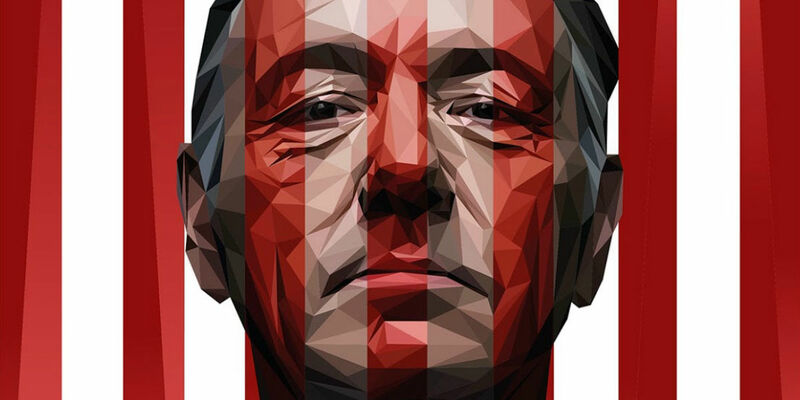 When House of Cards was first announced, and debuted its first season just three years ago in 2013, it was really the only Netflix original game in town, before Orange is the New Black or Master of None, never mind Making a Murderer or Beasts of No Nation. Now, House of Cards is getting ready to return for season 4, a premiere that’s set to coincide with both an increasingly crowded Netflix home screen and that other televised exercise in over-the-top political cynicism: the 2016 presidential election. Netflix has released a 25-second teaser trailer for the fourth season of House of Cards, called 'Dig.' It features President Frances Underwood (Kevin Spacey) and his right-hand man Doug Stamper (Michael Kelly) participating in some sort of 2016 campaign event wherein they are both shoveling some dirt. This teaser, like the others prior to the season, brings together the series’ twin themes of ruthless politics and equally ruthless murder. The shovels, of course, have a double meaning, as a staple of both politician photo ops and another activity with which House of Cards has been associated, the burying of dead bodies. It’s of a piece with a previous teaser, 'Tracks,' which features an Underwood poster above subway tracks, presumably the same ones that Frances pushed Zoe (Kate Mara) onto back in season 2. The one before that juxtaposed an Underwood Oval Office address with murders and other bad acts from the show’s past. As House of Cards has progressed, it’s been hard to miss a certain sense of decline. Critical enthusiasm was muted in season 2 and downright hostile by the season 3, due largely to the increasingly outlandish plots. Each season has seemed to earn fewer nominations and awards than the one before, and season 3’s only Emmy wins were for Music Composition for a Series and Guest Actor. And of course, it got its start as the prestige Netflix series, while these days there’s a new one seemingly every week. Still, there’s plenty of room for optimism. The show has many strong elements in place -- Spacey, Robin Wright, a dynamite premise and a first-rate look -- and perhaps the series will find a way to mine real-life politics for inspiration. And another series about politics, The West Wing, reinvigorated itself with a presidential election arc later in its run, so there's a chance Netflix's series may find its way back on track as well. We’ll find out on March 4, 2016, when season 4 of House of Cards debuts in its entirety on Netflix.